Thursday April 5th 1883 As soon as I got the work done up I cut out Mays aprons. Mother went to town in the afternoon and Hatt came home with her to stay till after supper. I sewed all the afternoon and evening. 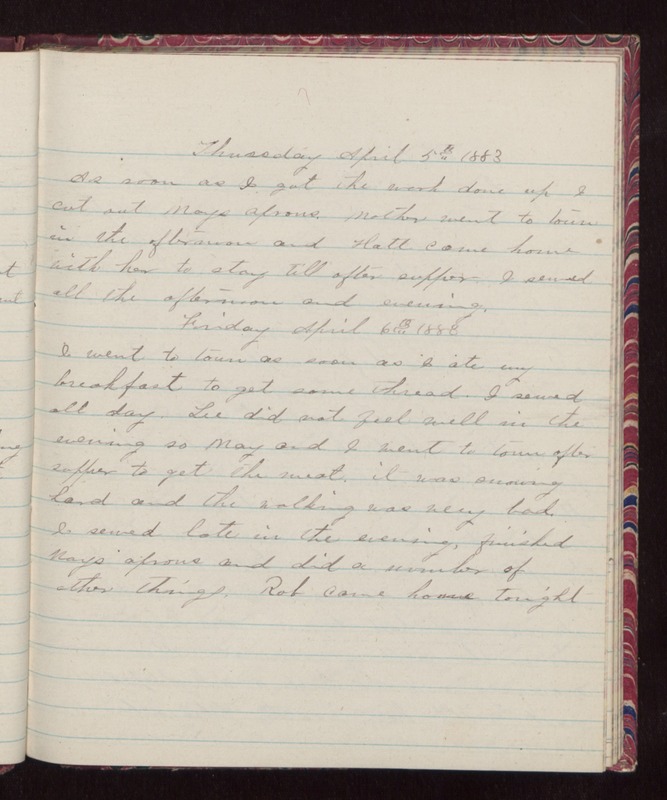 Friday April 6th 1883 I went to town as soon as I ate my breakfast to get some thread. I sewed all day. Lee did not feel well in the evening so May and I went to town after supper to get the meat, it was snowing hard and the walking was very bad. I sewed late in the evening, finished Mays aprons and did a number of other things. Rob came home tonight.